Today I'm linking up with Kimberly at Caffeinated Book Reviewer for the Sunday Post and Kathryn over at Book Date for What Are You Reading? I'm also super excited to be linking up with Sheila over at Book Journey for her First Book of the Year. Every year I spend a lot of time coming up with the perfect first book to read. I go back and forth between taking a risk and reading something that seems safe that I know I'll enjoy. That backfired on me a little bit last year as the travel memoir that focused on following Agatha Christie's Orient Express turned out to be a DNF. This year I'm going a bit safer! I've read two books by this author and loved them both plus I do love a foodie memoir! I'm excited about this one as it's been on my TBR for years and somehow I just never got around to reading it. I loved Flinn's Burnt Toast Makes You Sing Good which talked about her family and how their culinary influence as well as Flinn's first book The Sharper Your Knife the Less You Cry which definitely showed me that I really never wanted to go to culinary school. I'm hoping for a good read and maybe to pick up a few new tips and tricks! And because I'm never reading just one book here's what other first books I'll be tackling. My first book on my Kindle is a sadly neglected review book. I loved Come Hell or Highball by Maia Chance when I read it in 2015. 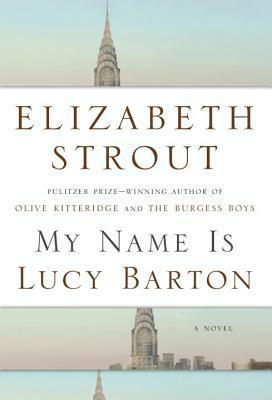 It's a fun cozy set in the 1920s about a society wife who is suddenly a widow and suddenly broke. 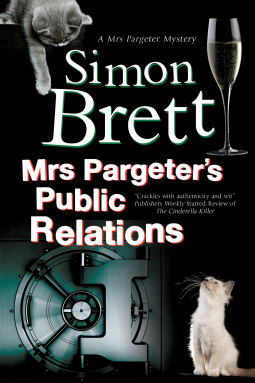 It's full of quirky characters and set around a solid mystery. I was thrilled when I got the 2nd book from the publisher but somehow it slipped down my TBR. So my first Kindle book will be Teetotaled by Maia Chance. The Vanished -which is about missing people. When school starts back and we start getting back into our routine I'm going to be listening to Chitty Chitty Bang Bang Flies Again by Frank Cottrell Boyce. I loved Chitty Chitty Bang Bang and it's one of the things that inspired me to start reading the James Bond books as they're both by Ian Fleming. I'm a little worried about this one since the author is different and that can frequently be disastrous but the amazing David Tennant is the narrator so I figure it can't be too bad! That's how I'm starting my year in reading! 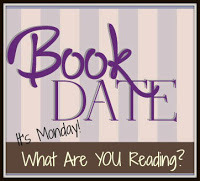 What are you going to be reading? Whew! 2016 is coming to a close and with it is the end of this year's 52 Pins in 52 Weeks project. I ended up finishing only 49 because unforeseen events and some time management issues got in the way. However, I think I learned a lot and I'm really excited to continue this project in 2017 - hopefully with some of you linking up! I'm going to add the 3 I didn't complete so it will actually be 55 pins in 52 weeks but I'm hoping I've learned a few lessons to make it work out. In 2017 I'll be making this a linkup on the last Saturday of every month. I'm hoping that you join me by trying some of your pins and showing how it went! My original goal for this project was to tackle some of the pins that had been setting ignored and neglected for way too long but in the end I think I got a little more out of it than just using up the pins so here are a few things I've learned along the way. 1. While other people are able to do put some paint on a canvas and have it look good I am not one of those people. And even if was it doesn't tend to be something I'd really want to hang up on my wall. 2. I need to plan WAY in advance for crafts. I'm not good at getting them completed or um... starting them at a moments notice. 3. Trust my instincts. While it's always fun to take a risk with flavor combinations or new to me methods if I think there's too much extract and not enough fresh ingredients in a recipe or if I feel like the batter will be too bready I'm probably right. 4. I really don't have to do every pin I pin. Sometimes - especially early on - I just got caught up in the fun of pinning and just because something looks cute doesn't mean I have to do do it if it isn't something I'd enjoy. It's okay to delete those pins. 1. Plan, plan, and plan some more. The reason a lot of these pins are sitting there neglected is because they take time to prepare or at least be thought out ahead of time. If there is something I want to do I need to actually take the time to plan it out. 2. Do more holiday or seasonal pins. The Tornado just turned 7 and I feel like the end of his enjoyment of seasonal type projects and food is within sight. If I want Easter bunny bark to be part of his Easter or whatever I need to actually get to doing it and I need to start soon. 3. Get better about cleaning out pins. I love Pinterest and pinning and all of that BUT having so many pins means things get lost. When a pin doesn't work I need to start making an effort to delete it quickly so that I clear some space and don't attempt it again! 4. Don't plan to get any pins accomplished between Christmas and New Years. It just isn't going to happen. I'm using today to pin 52 things I want to try in 2017 and make sure all the flops from last year are deleted. I'm looking forward to getting started on another fun year of not just pinning but attempting! It's hard to narrow this one down! There are so many classics that I have yet to read but are on my TBR. I'm thinking Grapes of Wrath by John Steinbeck. While I have read pretty much everything else Steinbeck ever wrote I somehow missed his masterpiece. Runner up is Portrait of a Lady by Henry James. This week's book is one I've really been looking forward too so I figured it'd be a great last book of 2016. I had spent the last few years being seriously underwhelmed by Nora Roberts' trilogies so I was pleasantly surprised when I read and thoroughly enjoyed Stars of Fortune which was the first in The Guardians Trilogy. This is the 2nd book - Bay of Sighs - and while it is about the characters I was the least interested in the first book there are a number of challenges that I'm really curious to see how Roberts pulls off! The story was told, generation by generation, in song and in story, until time misted it into myth. But some believed, as legends brought comfort. And some knew the story was the truth. I'm always a little nervous when Roberts starts a book when this kind of sing songy myth type language because she's started a lot of books like this and one of my biggest problems with the last trilogies is that they've felt repetitive. However, since this is the 2nd book and I loved the first book I'm all about it! Surprised, she looked up at him. "No one seemed afraid but me." One of the reasons I don't like Anni who is part of the main couple in this book is because she's so oblivious. The reasons for that make sense but I thought it might be irritating as the focus of a book. However, so far I've really enjoyed it as she comes off as more vulnerable and eager than purely oblivious and I think this snippet shows that pretty well. So what do you think? Keep reading? 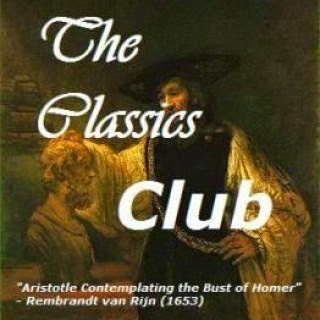 What classic have you not read that you really want to read? Yesterday I talked about the 10 books I hope to read off of my physical TBR shelf. In 2017 one of the things I'd really like to do is make better use of my library. I have a great library within just a few miles of my house. It's little but the children's section is amazing and the variety of available books is pretty impressive. Not to mention the people are so nice. Because it's a branch in a much larger system I also can go online and find just about any book I want and have it delivered to my library. While I really enjoy having all of that available other than the children's section I rarely end up using it. This year I'd like to make more of an effort to get more use out of it instead of just thinking about it! Here are 10 - 5 print and 5 audio - that I plan on checking out from the library this year. 1. 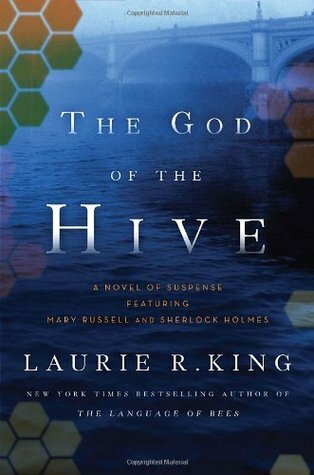 The God of the Hive by Laurie R. King - I love this mystery series that I've been sadly neglecting for far too long. I read The Language of Bees in 2016 and really enjoyed it. This is a continuation of the larger story of that book and I can't wait to find out what happens. Plus, anytime spent with Mary Russell and Sherlock Holmes is time well spent! 2. A Curious Beginning by Deanna Raybourn - Raybourn is one of my favorite authors because of her ability to create a world that her characters inhabit. She always pulls me in and it's almost a shock to look up from the book and realize that I'm in my very own bedroom and not the one that she has so richly drawn. This is the first in a new series and looks really intriguing AND the cover is gorgeous! 3. And Only to Deceive by Tasha Alexander - Apparently I'm in a historical mystery mood! This is a series I've been hearing about since I started blogging but haven't managed to read yet. This is the year! 4. First Women: The Grace and Power of America's Modern First Ladies by Kate Andersen Brower - The Residence by Brower was one of my top ten reads of 2015. I loved her ability to really take a look at the experiences of the staff in the White House and focusing on the humanness and the history without really getting into politics. I'm hoping the same for this book. I'm planning on getting it in book form for the photographs as I felt like I missed out a little in the last book. 1. 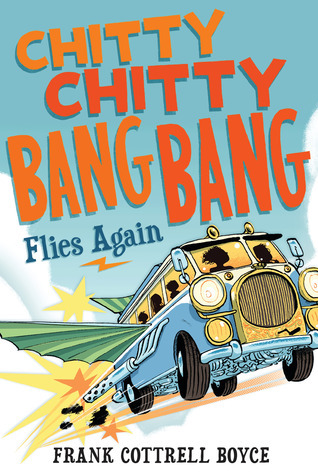 Chitty Chitty Bang Bang Flies Again by Frank Cottrell Boyce - I'm not going to lie - the main reason I'm really looking forward to this one is because David Tennant is the narrator! I listened to Chitty Chitty Bang Bang last year and loved it partly because the story is just so fun and partly because I could listen to Tennant read a phone book (which I know is out of date but you know what I mean) and be fascinated. 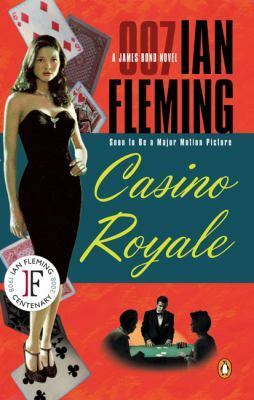 I'm a little worried that this is not by Ian Fleming who is the original author but I figure it'll still be fun! 2. The Swans of Fifth Avenue by Melanie Benjamin - This has been on my radar for awhile but J and I watched the movie Infamous about Truman Capote a few weeks ago and I was so intrigued by Capote's "Swans". 3. A Man Called Ove by Fredrik Backman - This book has been on my radar for ages and I'm finally going to listen to it this year. I've heard some mixed reviews on it which is why I'm thinking I'll go audio. I tend to be braver about books I've heard mixed things about with audio than print for some reason. 4. Seinfeldia by Jennifer Keishin Armstrong - J and I are big Seinfeld fans and references to that show frequently find their way into our everyday life (and I may have texted that entire car rental scene EVERY time I rent a car because it's still same). This book looks really fun and since I don't know much about it other than the topic I'm really looking forward to it. 5. Faithful by Alice Hoffman - Hoffman has been on my radar for ages and she's always been one of those authors that I knew I should read but just hadn't been inspired to do so. However, this book has been recommended to my by a number of people including several bloggers who I really trust so I'm thinking now is the time! Do you use your library as much as you'd like? Like pretty much every reader I have piles of books stuck in every corner I can find. And probably like lots of you I tend to ignore the books I already own in favor of newer shinier review books that land on me through the year. So last year I'm combed through my physical TBR shelf and came up with 12 I wanted to read and tried to get them all read. The results? Seven out of twelve read which I'm calling that a win. For 2017 I made a list of 10 books I want to read this year. I'm hoping to make another list of library checkouts as well and I also want to read the 5 books I didn't get to in 2016. Plus 10 is such a nice round number! 1. 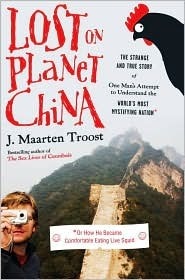 Lost on Planet China by J. Maarten Troost - I've read 2 previous travel memoir type books from Troost and really enjoyed them. This book set in China sounds really different than his previous books which were set in more tropical locations so I'm really excited about it. 2. 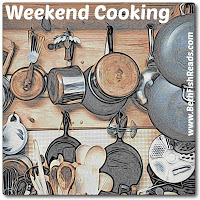 The Kitchen Counter Cooking School by Kathleen Flinn - This has been on my TBR for YEARS. It was the first book by Flinn that was recommended to me and for some reason I've read the books on either side of this one but never this. 2017 is the year! 3. All Facts Considered by Kee Malesky - This is a book written by the research department for All Things Considered. I heard an interview about the book years and years ago and it sounded really interesting and now I'm going to get around to reading the book. 4. The House on Tradd Street by Karen White - There's ghosts and houses being renovated all in Charleston which is one of my absolutely favorite settings! 5. 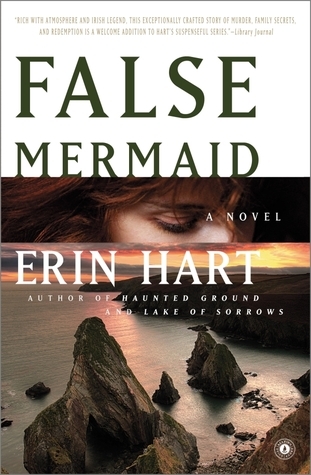 False Mermaid by Erin Hart - This is a mystery series with an archaeological spin that takes place in Ireland. I read the first book or two years ago and really enjoyed them. 6. Ghost Night by Heather Graham - This is actually the 2nd in a trilogy and the first was on my 2016 TBR list and I haven't read it yet. So first I have to read that one and then I'll read this one but they both look like seriously spooky fun. 7. Unhallowed Ground by Kate Ellis - I discovered Kate Ellis in a used bookstore pre-Amazon days and fell in love with the 2 books they had but wasn't able to get anymore. I've acquired quite a collection and am looking forward to reconnecting with the procedural style mystery series. 8. Untraceable by Laura Griffin - I love really suspenseful romantic suspense and I read the most recent book in this series earlier this year and loved it. This is the first book so I'm looking forward to understanding the structure and the characters a little better! 9. 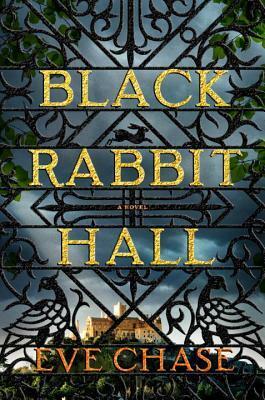 A High End Finish by Kate Carlisle - I love Kate Carlisle's Bibliophile series and I love home renovation so I'm expecting good things from this series about restoring old houses. 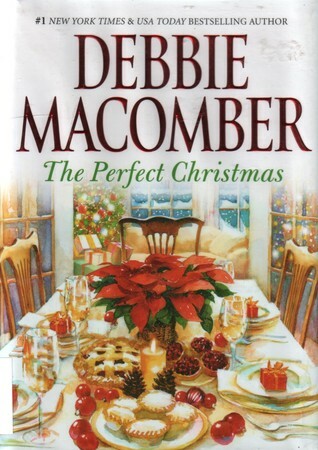 There's also going to be a Hallmark movie series on these books and I'm so excited I can barely stand it! 10. Because of Miss Bridgerton by Julia Quinn - I reread the first book in the Bridgerton series earlier this week and remembered why I love them so much so I'm really looking forward to this prequel! 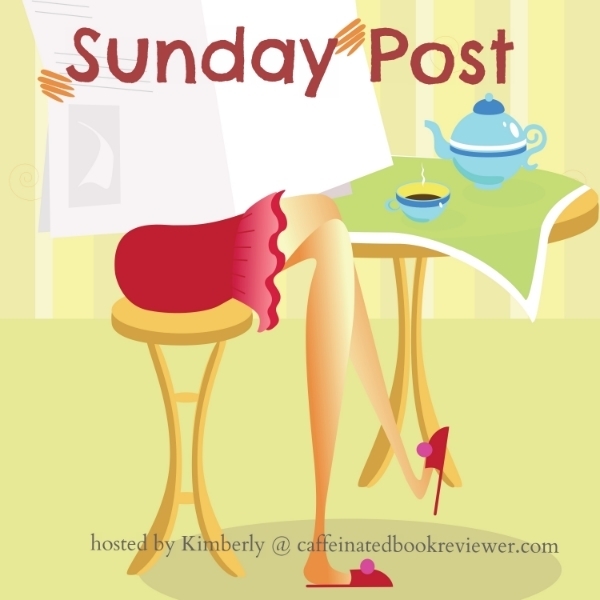 Today I'm linking up with Kimberly at Caffeinated Book Reviewer for the Sunday Post and Kathryn over at Book Date for What Are You Reading? 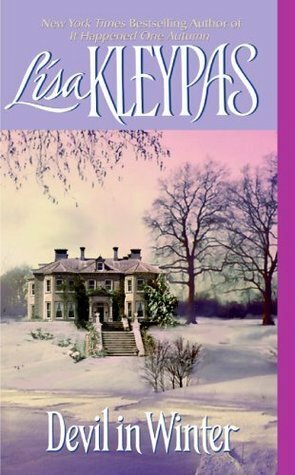 The Devil in Winter by Lisa Kleypas - One of my Christmas gifts to me this year has been rereads and I've been loving it! This is an old favorite and it's every bit as good as I remember! The Woman in White by Wilkie Collins - I know I've been reading this one forever but I'm really enjoying it. I'm close to done and I'm dying to see how it all gets wrapped up. I'm loving my podcasts right now! My favorites are Read It and Weep, Pack Your Mics (about Top Chef), and Stuff You Missed in History Class but of course that's always subject to change! We've been watching some Hallmark Christmas movies lately and are going to watch Christmas Story tonight. After that we're going to do some Star Trek movie watching. The Duke and I by Julia Quinn - This was my first reread and it's one of the books I forgot how much I enjoyed it. There is one scene that makes me a little squeamish but the rest of it is just so good! I'm looking forward to reading The Viscount Who Loved Me soon. That's been pretty much it. It's not been the best reading week. I'm still trying to decide what my first book of the year will be! I've got a few possibilities but haven't narrowed it down yet. 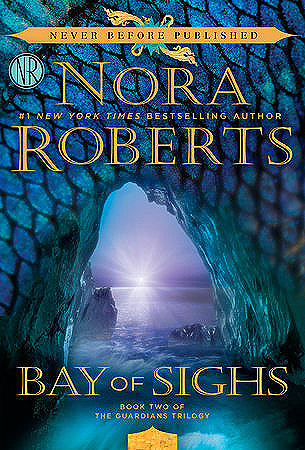 I'm planning on starting Bay of Sighs by Nora Roberts as soon as I finish Devil in Winter. For some reason romances have been calling my name more than any other genre and I've been enjoying reveling in it! Blog-wise I have a Top Ten list coming up tomorrow about my best reads of 2016 and after that who knows! We've still got a couple of Christmas celebrations coming up as well as the Tornado's birthday and New Year's Eve so it's going to be a busy week! Merry Christmas and happy holidays to all! Regardless of what you celebrate I hope everyone is having a lovely day with some time with family and friends and maybe a stolen moment or two with a good book! Santa should have visited my house by now and I'm sure we're knee deep in presents and about to start our traditional Christmas Day lazy day which is always a welcome break from the craziness on either side. I will see you all tomorrow and happy holidays! 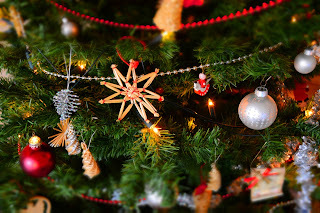 Today I'm talking about 3 Christmas-y pins I squeezed in this week! I always love the idea of doing some of the Christmas-y pins but when it's actually December things are so busy that I always forget up until now. I also wanted to mention that I'll be turning this feature into a linkup in 2017. 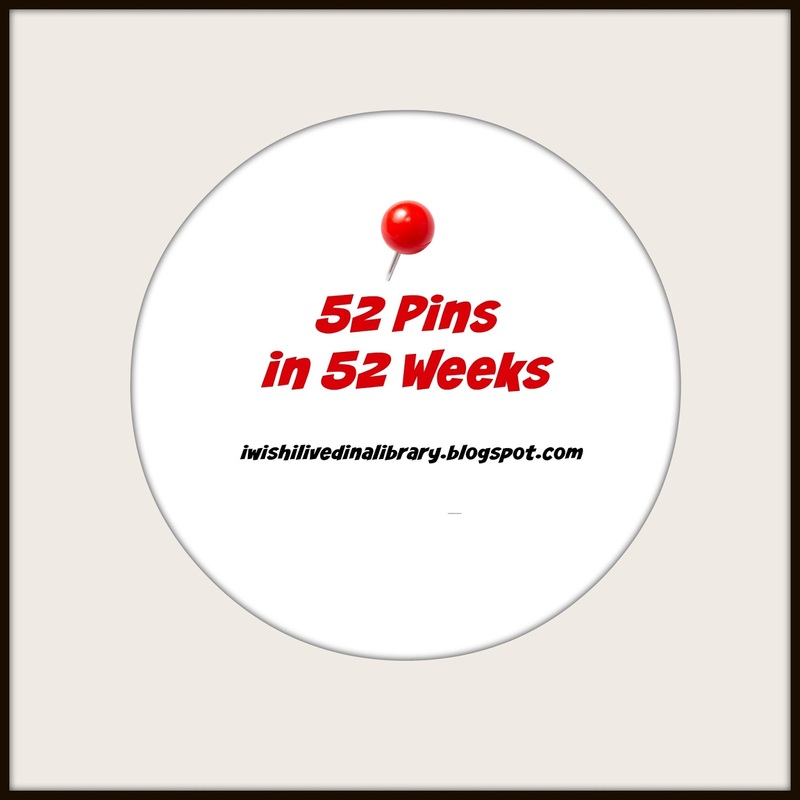 On the last Saturday of every month I'm going to do a 52 Pins in 52 Weeks post and share what I've been doing and I hope you'll join me and share what you've been doing too! Why I Picked It: I love peppermint cookies especially with all the rich food I eat around this time of year! Basic Idea: A meltaway dough that's lightly flavored with peppermint with a sweet minty glaze. Results: So good! Be careful not to overbake because they fall apart if too dry. The flavor was nice and light and the texture was divine. The glaze sets up nicely and is hard enough that these cookies can be packed. Just be sure if you're adding sprinkles to add them quickly otherwise the glaze will harden and they won't stick! Why I Picked It: I love all the Christmas-y scents and this seemed easy. Basic Idea: Fill a pot with yummy stuff, add some water, and let simmer all day. Results: Meh. I didn't love the scent - the cinnamon and rosemary were really overpowering and the orange and cranberry was nonexistent. Plus even at a simmer there's still some steam which is fine if you don't have cabinets over your stove but left some white marks on mine. Lucky they faded when the wood dried. This wasn't awful but not worth losing a spot on the stove. I think I'll just light a candle or two instead! Why I Picked it: I love all things Grinch! And even with my limitations in decorating I was pretty sure that I could handle sticking a heart shaped sprinkle on a cake ball! Basic Idea: A red cake ball coated in green candy coating with a red heart on top. Results: Wilton Candy Melts and I don't get along. I always seem to overcook them so the coating gets too thick and then I have to add shortening and it's always such a pain. That aside these were pretty fun and easy. I made the cake balls using vanilla cake mix with red food coloring and a few tablespoons of chocolate frosting because my family doesn't like red velvet (they're really weird). It definitely looks Grinch-y and was a lot of fun! Do you participate in reading challenges that have you reading for 24 hours, challenges that have a yearly goal, challenges that have you reading certain genres, or do you not participate in challenges? First I have a couple of notes. 1. Isn't the new button cute! I love it! 2. Last week I said I like to drink boiled custard around Christmas without realizing how regional of a drink that is. Boiled custard is kind of like egg nog but without the spice. It's basically a thick creamy drink that kind of reminds me of melted vanilla ice cream. I love the idea of participating in a 24 hour reading challenge but have yet to actually make it happen due to timing. I had hoped to kind of do my own this year but time got away from me though maybe I can make it happen between Christmas and New Year. I do the Goodreads Challenge where you pick a number goal but as for all the other challenges I quit participating in them because I was just so awful about keeping up with them. This week's book is a random library grab. I've been in a bit of a slump these last few weeks and while I was at the library with the Tornado last week I browsed through the Christmas books they had displayed and picked up a few that looked good. 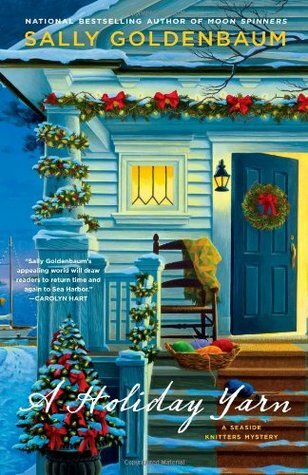 I've been wanting to read the Seaside Knitters mystery series by Sally Goldenbaum for awhile and I just couldn't resist the cover of A Holiday Yarn. In the confusing days that followed, one thing that would stand out in Nell's mind was that each member of the Thursday night knitting group had talked to Pamela Pisano that day. Very intriguing especially since I know from the blurb that Pamela isn't going to make it much longer and I know from reading a little further just what Pamela spends all her energy talking about to the knitters! "It wasn't suicide?" Nell asked softly. "She didn't kill herself?" Can't you just hear the "dah dah dum" after that sentence? Things look a bit sketchy here! So what do you think? Keep reading? What are your favorite reading challenges? Description: Motives for Murder: A fortune in uncut diamonds, hidden by an eccentric old man A woman's love, too freely given A business empire built on ruthlessness Each of them may have been a motive for the brutal slaying of wealthy old Simeon Lee. Coupled with Lee's family, each member of which hated him and wished to see him dead, they presented Hercule Poirot with a baffling challenge--one which the astute detective solved only through his uncanny ability to see "the little things." Why I Picked This Book: It's an Agatha Christie Christmas murder mystery. How could I not read this around Christmas? My Impression: I just a good Agatha Christie mystery! And this one did not disappoint. This book was published in 1938 which was a happy time for Agatha personally and her mysteries from this time period benefit from that as they are all absolutely excellent. One of the things that I love best about this book is a note at the very beginning from Agatha to her brother-in-law James hoping that this will fulfill his desire for "a good violent murder with lots of blood." since he felt her murders had been getting too refined. I just loved that personal touch and the peek behind the scenes it offers. 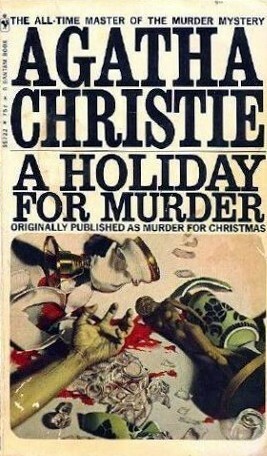 While this murder is definitely on the bloody side it's still a Christie mystery and the violence occurs off page. The characters are a huge mix of personalities and are more developed than is typical with Christie's characters. There's agreeable but meek Alfred, calm and kind Lydia, mean and selfish George, con-artist Harry, spirited and impulsive Pilar and looming over all of them is elderly but powerful Simon Lee - the patriarch who enjoys watching them all dance to his bidding. When the murder comes just about everyone has motive and opportunity and the missing diamonds add even more possibilities to the overwhelmed detectives. Luckily, Hercule Poriot is in town visiting his friend Colonel Johnson and is happy to lend a hand. This is one that I remembered the end but I still got as much pleasure reading this as I did the first time I read it. 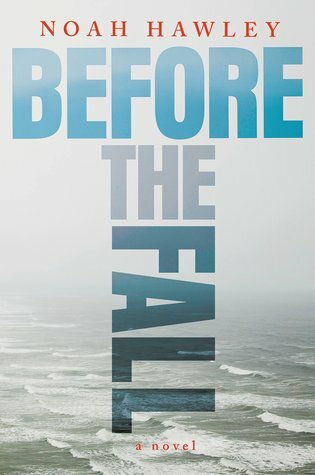 Looking at the motives and how skillfully Christie added details and dropped clues was an absolute treat and I held my breath just like I did the first time I read it as the ending unravels. The holiday was also nicely incorporated and while it isn't a Christmas I would want to take part in it does feel Christmas-y! I hope James enjoyed his blood soaked mystery as much as I did! Would I Read More of this Series/Author? : Of course! I'll be starting the next Hercule Poirot mystery soon and I'm looking forward to getting reacquainted with Miss Marple. Would I Recommend this Book? : Definitely! If you are new to Agatha this would be a good one to start with and if you are already a fan you must read this one immediately! 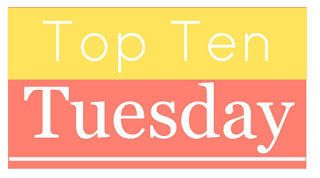 This week's Top Ten Tuesday topic from The Broke and the Bookish is Ten Books I Wouldn't Mind Santa Leaving Under the Tree. I love this topic! I tend to lock up in bookstores because I have so many books to read and there are so many books that I want and my brain just kind of shuts down and I don't end up getting anything. 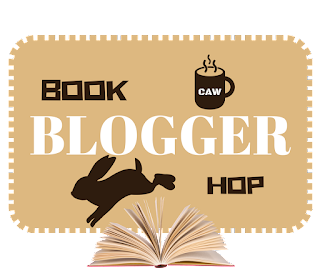 With this topic I did some pretend shopping in my TBR and some of my favorite bloggers' TBRs and this is what I came up with. 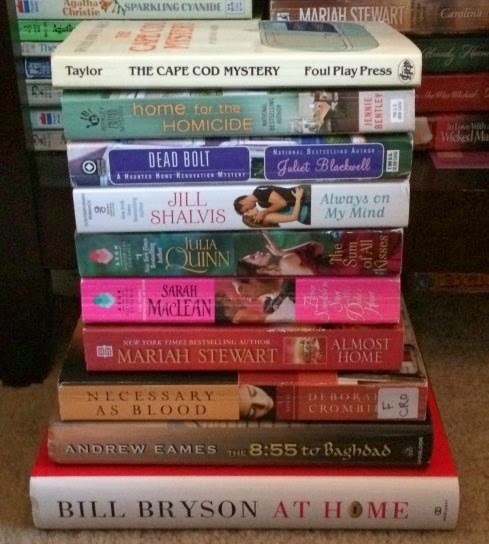 This pile of books would make me a pretty happy reader! 1. 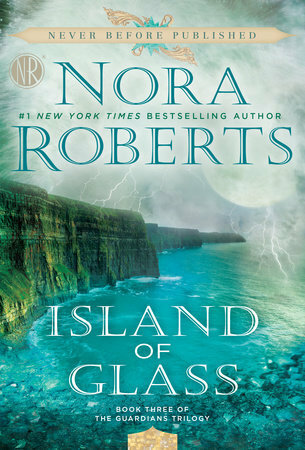 Island of Glass by Nora Roberts - I loved the first book in this trilogy and am just about to start the second. This book features my favorite couple and I'm so excited to find out what happens! 2. The Life and Times of Miss Jane Marple by Anne Hart - This sounds like a biography of Agatha Christie's Jane Marple which was put together from clues in the Miss Marple books. It's a look at the real Jane both as a person and with how Agatha created the character. I feel like this is a must read for me! 3. The Girls of Murder City: Fame, Lust and the Beautiful Killers Who Inspired Chicago by Douglas Perry - I'm not a big musical fan but I love Chicago and this just sounds fascinating! 4. The Invisible Library by Genevieve Cogman - This sounds a little bit like the show The Librarians with a touch of Doctor Who which just sounds like pretty great reading! I meant to get this soon after it came out but now somehow the 3rd book has been released and I still haven't read this one! 5. 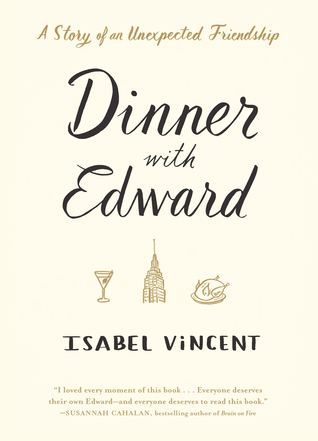 Dinner with Edward: A Story of an Unexpected Friendship by Isabel Vincent - I forgot where I first came across this one but it sounds fascinating. I love the idea of an unexpected friendship growing between two people based on food and common interests regardless of differences in age. 6. All the Presidents' Gardens: From Madison's Cabbages to Kennedy's Roses - How the White House Grounds Have Changed With America by Marta McDowell - I'm fascinated by the White House and the Presidents in general which is a little strange since I avoid politics. I love the history of the institution and this sounds absolutely fascinating! 7. The Regional Office is Under Attack! by Manuel Gonzales - How can I resist a title with an exclamation point? Plus this book just sounds like an assassin-y good time. 8. The Elegance of the Hedgehog by Muriel Barbery - I'm not sure what it is about this book but I'm fascinated by the title and it sounds like a delightful read! 9. Love, Loss and What We Ate by Padma Lakshmi - I love Padma on Top Chef and what I've read about her life is fascinating and definitely has me wanting more. 10. Year of Yes: How to Dance it Out, Stand in the Sun and Be Your Own Person by Shonda Rhimes - I love Shonda Rhimes. While her shows aren't my favorite (I get antsy with story lines that span over several episodes because I despise cliffhangers and have a short attention span) I've been enthralled by every interview of her and how she manages to become more and more successful while staying true to her brand. I also love the concept of this book and am really excited to read it. What books would you like to find under the tree? This year one of my stated goals was to expand my reading a little bit. Take on some books that I would have thought weren't for me or that my knee jerk reaction was to say no too. The reason for this was because while 2015 was a good reading year there weren't many greats and I think the big reason was because I stayed within my comfort zone. So now that the end of 2016 is shockingly close I figure it's time to look at what I read for 2016 that fell under the "different" category for me and what I thought of them. Why I Would Have Said No: I have it in my head that more masculine type action books are heavy and ponderous type books and automatically lumped in the James Bond books in with that. What I Thought: Going in I was surprised to discover how short these books are. I've read 3 and they're all around the 200 page mark. Fleming's background as a naval officer and journalist come through as while things are described the prose is very straight forward and too the point. I've really enjoyed the 3 I read this year and am looking forward to reading more. What I Thought: While the book itself definitely has some angst it also had a chilling atmosphere and a plot that kept the pages turning! Why I Would Have Said No: The Pulitzer Prize winning author is an automatic turn off for me. I tend to distrust books that are too critically acclaimed. What I Thought: I enjoyed this though I wasn't blown away. The story was quiet yet stuck with me and made me think in ways that were unexpected. While I don't think I'll be automatically picking up all award winning books I don't think it will be as much of a "no" for me going forward. Why I Would Have Said No: Two words - ugly cry. That did not appeal to me at all! What I Thought: I loved this book. 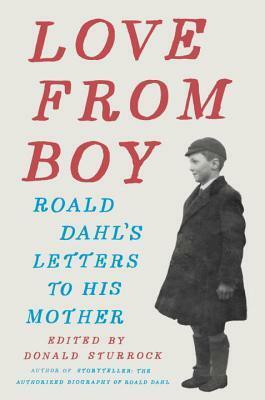 I think I was expecting more angst because Moyes writes about so many really heavy subjects but despite the heavy emotions that were wound all through this book there was also a matter of factness and even a touch of humor that made it wonderful. It was even worth the ugly cry at the end. Why I Would Have Said No: I don't typically read sci-fi or YA so just based off the genres this didn't really grab me. 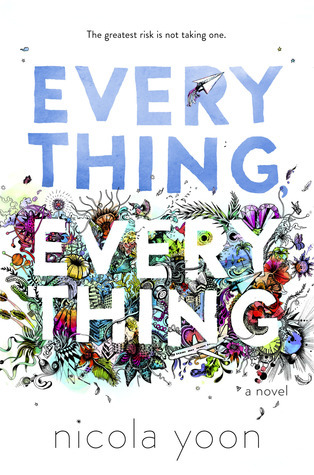 What I Thought: I loved this book! I loved how the fairy tale was woven in. I loved Cinder, I loved Iko and I couldn't wait to find out what happened next. I've gone on and read Scarlet and am looking forward to finishing up the rest of the series and finally finding out what happened. What I Thought: I was hooked by this magical bit of madness and thoroughly enjoyed it. I'm hoping to get my hand on an audio edition because I'm sure it's fantastic in audio. 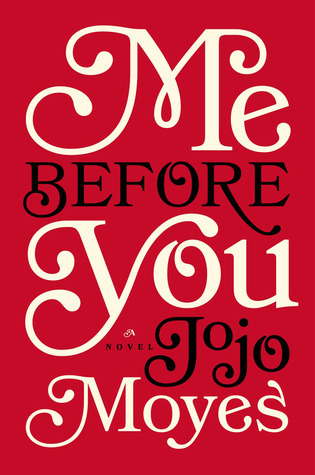 Why I Would Have Said No: A YA romance-ish book with a sick character is not usually something that I want to read. 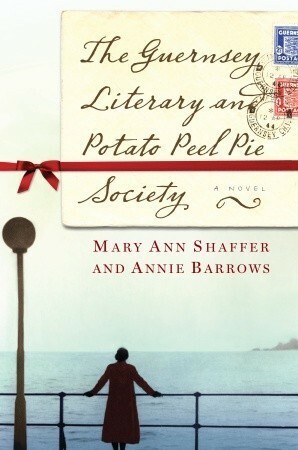 What I Thought: I thought the book was well done and the characters were interesting but it definitely was not for me. While I could appreciate the author's ability this is the kind of book that I probably should have stuck with the "no"
Why I Would Have Said No: I don't like disaster books - especially if children are involved in any way. What I Thought: I ended up really enjoying this book and found it fascinating reading. 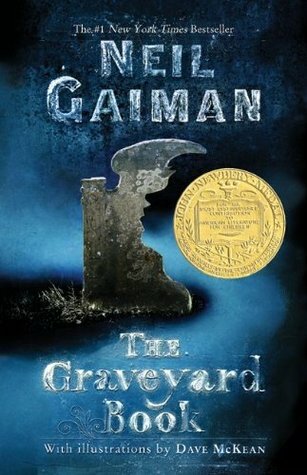 The book itself was cleverly done and it was so interesting to see the story unravel. I was thoroughly satisfied with the ending which was a nice bonus! Have you read anything that your first impulse was to say no to? How did it work out? Listening: I'm listening to podcasts at the moment and enjoying them. My favorite at the moment is Read It and Weep which is hilarious and love how they tackle something new and normally pretty awful once a week. They also have another podcast called Pack Your Mics were they talk about Top Chef which is pretty great. Watching: I've been watching some Hallmark Christmas movies which are always pretty fun as well as some other Christmas movies. The Tornado's favorite is Rudolph so we watched that earlier this week along with Charlie Brown's Christmas and J and I watched Scrooged with Bill Murray this weekend. I'm hoping we get The Muppet Christmas Carol in before Christmas. TV-wise I've been watching Top Chef and am not sure how I feel about the returning chef/new chef thing. I wouldn't say I'm caught up on all the Christmas stuff but I'm definitely catching up! The house is decorated and I've gotten about 80% of my shopping done. The rest I'm thinking will be done from my couch and delivered to me! There are some menus to be figured out but that's about it. I'm starting to not feel quite as frazzled and actually start enjoying the season! Today J and I are taking the Tornado to see Rudolph the Musical. I know nothing about the production so it should be interesting and hopefully lots of fun. We're also celebrating with my Mother today and then my Dad later in the week and then J's family on Christmas Eve. The reading slump is still kind of happening. It's not so much a slump and more just feeling a bit apathetic about a lot of the books I have. I'm still kind of just going by what catches my interest and that seems to be working because I'm still reading! I'm trying to think of what I want to do in 2017 and am struggling with that because my motivation is in the meh level. 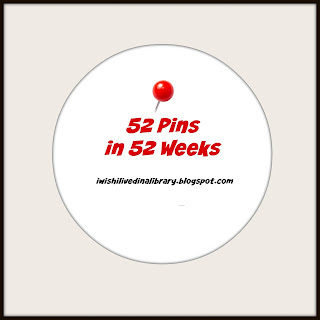 The one thing I am thinking about doing is turning my 52 Pins in 52 Weeks into a linkup if anyone is interested. I'll probably do a more official post the last Saturday of December but basically the whole point is to use some of the pins we're all pinning and then talk about how it worked out. I'm planning on having a linkup on the last Saturday of every month. I'm going to kind of do a repeat of what I did this year where I pick out 52 pins ahead of time but I'm going to leave the rules pretty open and people can just do what works best for them. Have a fantastic week, happy reading and Merry Christmas! I'm catching up from missing November's pins. This wasn't the most successful trying month but I did get some pins cleared off my boards and discovered a new main dish meal so that's a win! I'm hoping to have Christmas-y pins next Saturday and then a few not-so Christmasy pins for the after Christmas Saturday! Why I Picked It: This was one of my earliest pins and I think I had originally pinned to recreate it for one of the girls' rooms. My Results: I didn't end up doing this. I learned in the last painting project that things like this just really aren't for me. Plus, the girls both have their own places now and this is really not my kind of thing. Why I Picked It: Because I love cupcakes and Oreos are one of the few things that everyone in the house will eat. My Results: The frosting was delicious and not too sweet. Definitely a frosting I will make again. The cake was not as successful. I had some misgivings when I saw the directions which involved adding the sugar last and not creaming it with the butter which is what I normally do but it came together and the batter tasted pretty good so what do I know? Turns out my instincts were right as the cake was dense and almost bready in texture. Why I Picked It: I like steak tips! And for some reason I thought this was a slow cooker recipe. It ended up being a stove top recipe but was still pretty simple. My Results: Yum! These were pretty tasty and while they took awhile to cook were pretty simple to put together. I left out the mushrooms which I think would have added a little umph to the flavor. I think I'd add a little red wine vinegar or something to add a little bit of acid and maybe double the gravy recipe so I'd have a little more sauce to eat up the steak tips with. Mashed potatoes are delicious with this! Why I Picked It: I have tons of boxes from my Birchbox subscription that I wanted to figure out something to do with it. Basic Idea: Take the top of a thick cardboard box and wrap it in fabric. My Results: Yeah this isn't in my skill set. I couldn't get the fabric snug enough to be really smooth against the top and I think something went horribly wrong with my cutting. I think this would look great if you're more crafty than me though!